This FREEÂ iPad app is available on iTunes. Lorrie Ann Harrington originally created this 4th of July story to teach her son, who has Autism Spectrum Disorder, new vocabulary, language-based concepts, and social communication skills. This interactive story focuses on building language and early literacy skills around the location words â€œnext toâ€, â€œin front ofâ€, â€œonâ€, â€œbehindâ€, â€œinsideâ€, and â€œaboveâ€. 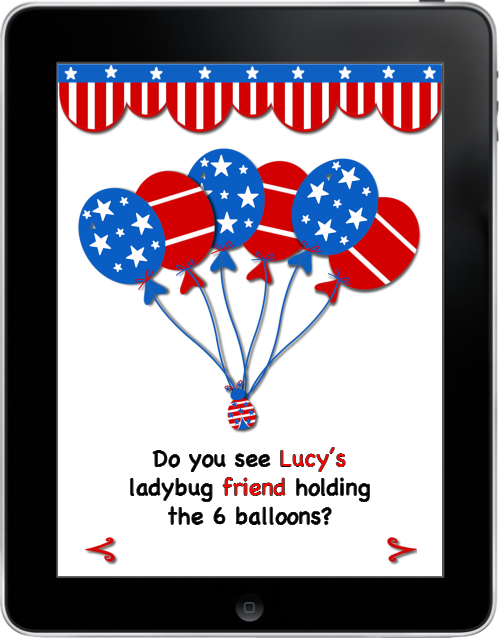 With simple sentences and a repetitive theme (â€œDo you see Lucyâ€™s ladybug friend…?â€), it can be used to help teach children to recognize and use location words. Encourage active participation and commenting during the story and game by asking the learner â€œWHâ€ questions such as â€œWhere?â€, â€œWho?â€, and â€œWhat?â€ (â€œWhere is Lucyâ€™s ladybug friend?â€, â€œWho has a firework?â€, â€œWhat is Lucy doing?â€, etc.). – â€œRead it to meâ€ by touching the sentences. – Find the ladybugs to make them giggle. – Ladybugs change locations to provide a variety of learning opportunities and fun. 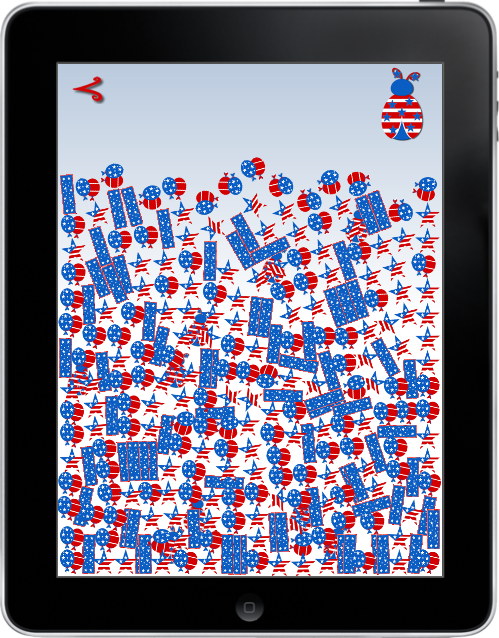 – Tap the â€œsparklingâ€ fireworks for a special surprise! 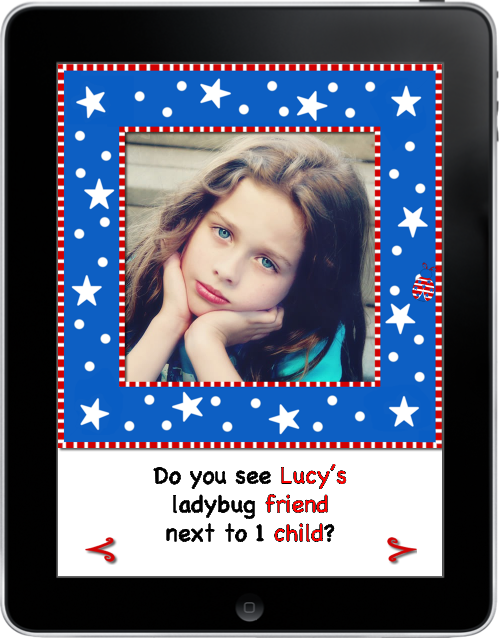 – Help Lucy find her 9 ladybug friends so they can go to the 4th of July party together. – Pop the balloons to make it easier to find the ladybugs. Using the iPads camera or photo album, the story can be personalized to help your learner stay engaged and relate to the teaching topic more easily.